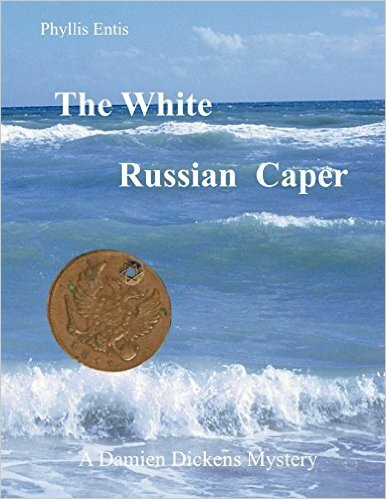 The White Russian Caper is the second installment in the Damien Dickenson mystery series. When Miss America disappears, Damien is called in to solve the mystery, but things take a strange twist, and Damien is the one who needs help. Hired to get to the bottom of a sudden rash of violence and unlawfulness, Damien is eager to accept the offer to honeymoon with his new wife as part of his cover. Things aren’t going to go that smoothly for Damien and Millie, though when Damien is held captive and Miller must step into the role of private eye. What do the two incidents have in common? You’ll only find out by reading the book. There are some new characters, as well as some old friends. Millie is back in a brand-new role. The book is written by Phyllis Enis, an outstanding storyteller, who uses good descriptions to bring the reader into the story. Don’t hesitate to buy this book. This entry was posted in Uncategorized on October 31, 2015 by Victoria Schwimley. I’m pleased to announce the release of Grant Theft Auto: Crime Solver’s Detective Agency, book 2. This is the second installment in the mystery solving antics of Karrine and Jayden. 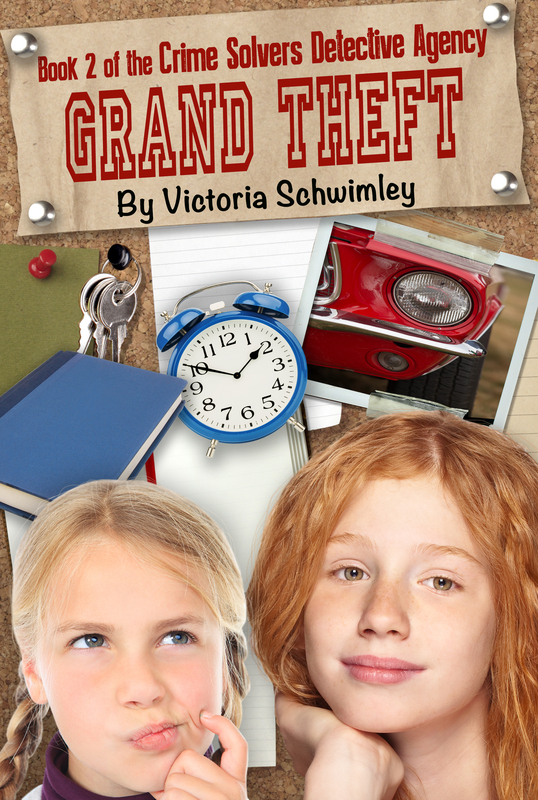 In this story, Karrine solves the mystery of the stolen Mustangs. Back at home, in Sacramento, Jayden has a caper of her own to solve when someone steals her teacher’s grade book. If she doesn’t find it, the teacher’s going to give an even harder test, in MATH! This book features the wonderful voice talent of Grace Sin. Check it out. It’s time for the audio! This entry was posted in Uncategorized on October 21, 2015 by Victoria Schwimley. 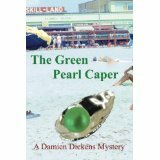 The Green Pearl Caper is a captivating story that introduces detective Damien Dickens, along with a lively cast of interesting characters—namely his assistant, Millie who is such a delight. The murder happens right away, and we get to spend the rest of the story wondering who did it, as Damien Dickens chases down clues. Author, Phyllis Entis keeps us guessing as she takes us on a plot-twist path of evidence. There are no computers or modern-day electronics to help us out. This is good old-fashioned detective work. Well-done, Phyllis—I look forward to the second mystery. This entry was posted in Uncategorized on October 15, 2015 by Victoria Schwimley. I was just coming off Christmas break, and dreading my return to school, when the best case of my career came my way. Mrs. Thornton’s garage was broken into and her 1977 Mustang was stolen from it—right in broad daylight! She’s my neighbor, so I heard about the case first hand. I nodded. She let go of my chin and I stalked off to my bedroom to pout. I threw myself on the bed and pursed my lips. How could I stay out of something so big? “Hi, Karrine,” came my little cousin’s perky voice. She lives in Sacramento with her mother, my aunt. My grandparents live there, too. She had spent the summer with me and we solved some awesome crimes together. She was determined to start her own agency in Sacramento. I told her she could call any time if she needed some advice. I guess she needed some. I sighed, and rolled over. I plucked at a stray thread on my bedspread and winced when it pulled a whole string free. I tried patting it back in, but it wouldn’t stay. I patted it down, pretended it stayed, and rolled the other way. “I’ve got the biggest case of my career.” I told her about the break-in. “Well, maybe it is—a little,” Jayden said. “Not for an experienced detective like me,” I said. “Jacob is new. He’s my number one suspect,” she said. “Go on,” I urged. I needed more than that. I nodded. “Good point, but there could be another reason for that.” I hoped I didn’t bring her down with my point. “That’s what I thought,” Jayden said. I could hear the pride in her voice. We said goodbye, and I slumped back into my gloom. Helping Jayden had only made me anxious for a new case. “Karrine, supper,” I heard my mother call from the dining room. I shook my head as I placed eating utensils next to plates around the table. I stared opened-mouth. “The case…the really big one…grand theft auto,” I said. She nodded. “Oh…yeah…the case. Well, I’m sorry about that but, safety first you know.” She set down the spoon and lifted the heavy pot from the stove and moved it to the table. Then she strained some pasta noodles and set the bowl on the table. “Call the boys,” she said. Thundering footsteps rushed past me as my brothers raced each other to the table. My step-father followed the boys, only he didn’t run. I sat down at the table. My head hung low to my chin. “What’s with you?” my step-father asked. “And I want to work the case,” I said, rushing in…hoping for an ally. “Seems to me, it’s a police matter,” my step-father said. I slumped back again. There went any hope of him being on my side. “Well you don’t, so it’s a moot point. Eat your dinner.” She pointed at the plate I hadn’t even touched. I was too depressed to eat. I jumped to my feet. “Of course!” I ran from the room, shouting my thanks over my shoulder. I skidded to a halt at the computer, sliding into the computer chair. At first, I got way too many hits when I Googled stolen car. Then when I added my street name to the search…BINGO, it was there. I searched the article, looking for any clues. Mother said I couldn’t work the case, but she said nothing about following it on the internet. Buried deep in the newspaper, on about the sixth page, was a small blurb about the theft. Apparently, the Las Vegas Crime Reporter didn’t share my opinion about this being “the big case.” I read that article four times and only learned that similar incidences were happening all over the city. Could this be a serial thief? Jayden: Sorry about your big case. Jayden: I tried calling Jacob’s old school. They won’t give me any information. The lady on the phone said it was none of my business. Me: Well, keep trying. Maybe your mom will call them for you. Jayden: Great idea. I’d better solve this case fast; our harder test is scheduled for Friday. That’s only three days from now. Gotta run. Love you. I signed off and went to bed. I was in a terrible gloom the next day. I was itching for a case, and at this point, I didn’t care what it was. I wouldn’t even mind if Mrs. Jackson got into some more trouble. She had pulled a really good prank on her husband, just to get his attention. But she wasn’t clever enough to escape my sleuthing brain. Pinky sent me a text saying Rusty was ready to go home. Last year, Mrs. Waverly, Rusty’s owner, had summoned me to find her “stolen” dog. It turned out he was in Pinky’s care and Mrs. Waverly had forgotten about asking Pinky to groom Rusty. I earned twenty dollars by finding him and returning him. Now, every time he went for a groom, Mrs. Waverly called saying someone kidnapped him and could she hire me to find him. I felt kind of guilty taking her money but, hey, if she can’t keep track of her own dog, how is that my problem? Besides, it really helped Pinky. When the school bell rang, dismissing school for the day, I sent my mom a text and told her I was headed over to Pinky’s to take Rusty home. She responded by asking me to bring home milk with me. I sighed and said I would. Did any other private eye get asked by her mother to pick up things from the store on their way home from a case? Pinky was glad to see me, as we had become good friends since the dog-napping case. Occasionally, she even had need of help around the dog-grooming salon, and she would pay me to wash dogs for her. My eyes lit up. Not only did I like Blue Bell, business was kind of slow at the minute, and I could use the money. “Sure,” I said. My eyes went wide as well. “The Thorntons and the Stanleys!” It was starting to seem as if a crime wave was brewing. “Are there any leads?” I asked. Pinky sprayed some perfume on Blue Bell, who sneezed and then growled. I sat up straight and waved the perfume fumes away. “It smells good,” Pinky said, indignantly. Blue Bell clamped down on the leash and she and I began a game of tug-o-war. I was winning when Pinky reappeared with Rusty. She handed me his leash, too. We made our way to the door, Rusty nipping at Blue Bell all the way, and she looking at me with a pathetic help me look. “This is going to be interesting,” I muttered. I hopped on my bike and tied a leash to each handlebar. Rusty immediately began to run. Poor Blue Bell’s little legs worked with a frenzy to keep up. “Slow downnnnnnnnn!” I screamed at Rusty. By this time, Rusty had spotted a puppy scampering under a fence. He increased his speed. I must have been going at least sixty miles per hour, judging from the way my hair blew out behind me. “Stop it right now, Rusty!” I screamed again. He didn’t listen to me one bit, and now both dogs were chasing at high speed. I slammed on my brakes…big mistake; I flew over the handlebars and for the first time was grateful of my mother’s insistence I wear a bicycle helmet. My head collided with the fence. I saw stars spin above my head. My knee was bleeding—nothing a little Band-Aid wouldn’t help—and I felt like a fool. Three people rushed over to me…yes, it’s true some humans still care. Unlike the four-legged monsters who now sat barking at the fence they never had any chance of making it through. Rusty looked at my frowning face, whined, and licked my hand. “Are you okay,” someone asked. I looked up into the face of the cutest boy in school. Jared Sinclair. I had never met Jared because I was too intimidated to talk to him, but here he was jumping to my rescue. He extended his hand down to me. His face wore the cutest, hugest, smile I’d ever seen. “Yes, I know,” I said, smiling at him. “I’m not that smart,” I said, as if being smart were a bad thing. He chuckled and I noticed he had the cutest dimples. Why hadn’t I ever noticed them before? We walked past the ice cream shop. Mr. Scoops was sweeping the sidewalk outside. He waved. “Good afternoon, Karrine,” he called. I held up Rusty’s leash, pointed at Blue Belle and said, “Sorry, I’m taking these critters home for Pinky.” My mouth suddenly filled with the taste of strawberry ice cream. “I could stop on the way back,” I said. She flung open the door and snatched him from my hands. “Thank goodness,” she said. “I was just about to call the police.” She looked at me and narrowed her eyes. “Young lady! Just who do you think you are stealing my Rusty?” She made kissy noises at him, puckering up and smacking her lips. “You poor darling.” She slammed the door. My shoulders dropped, I sighed, shook my head back and forth and knocked again. “Who is it?” Mrs. Waverly said in a singsong voice. I sighed again. “It’s Karrine,” I said. “What’s wrong with her?” Jared shouted to me. I frowned. “Gee, I hope not,” I said, “I’d feel bad if she really does.” I banged again. “Who is it?” Mrs. Waverly said. The door flung open wide and Mrs. Waverly stood on the porch, still holding Rusty. “Where?” she said, trying to look for the package. I held out my hand and tapped my palm. She sighed in defeat. “Oh, all right,” she said. I put a hand out to Rusty. “Good boy,” I said. He immediately sat and wagged his tail at me. When I first met Rusty, the entire community was afraid of him. He bit and barked, and chased anything that moved. With my patient teaching, he had become a much friendlier dog. “He’ll be fine,” I said. Mrs. Waverly returned with her wallet and handed me ten dollars. I waved my fingers to indicate I needed more. I was collecting Pinky’s fee, too. She started muttering something about a fixed income, which meant nothing to me. When she counted out the right amount of bills, I thanked her and waved, stooped to give Rusty a pat, and walked away. The door slammed behind me. I grinned at Jared. Delivering Blue Belle was a piece of cake, and we even got milk and homemade chocolate chip cookies as a bonus. “Naw,” I said,” just when business is slow. I usually spend my time solving mysteries.” My frown appeared. “I’m just in between cases right now. There’s a really big case going on right now, but my mother won’t let me work it.” I felt foolish the minute the confession left my mouth. I sounded like a whiny baby. I stared quietly at him. Crime Solvers was my agency. I didn’t know how I’d feel about sharing the glory with Jared…even if he was the cutest boy in school. I started walking again. Jared gave me a minute to think. We were coming up to Mr. Scoop’s store and I hesitated before going in. I looked at Jared. He looked at me. “I usually work alone,” I said. I frowned. Jared was standing there with a really stupid grin on his face, showing me his beautiful, pearly-white teeth. He tipped his head sideways and stuck out his lower lip. He whined like a dog. We hurried back to my house to make our plan. This entry was posted in Uncategorized on October 9, 2015 by Victoria Schwimley.